In March of this year, I had the amazing opportunity to travel to the Holy Land for a two week pilgrimage. Never could I imagine how incredible the experience would be — how deeply it would move my spirit and expand my understanding of Jesus, the Christ — and the faith he was about. Included here are reflections I wrote during quiet moments at various holy sites along with what I tried to capture in photo. May these thoughts increase your trust in the Holy One, who is Love to all forevermore! 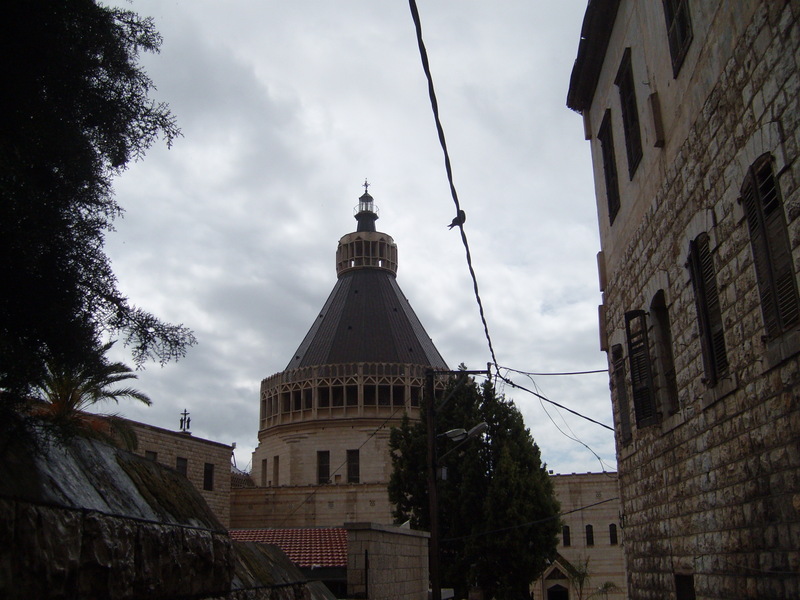 Nazareth: The childhood home of Jesus. Jesus, we’re stuck in a traffic jam in Upper Nazareth. 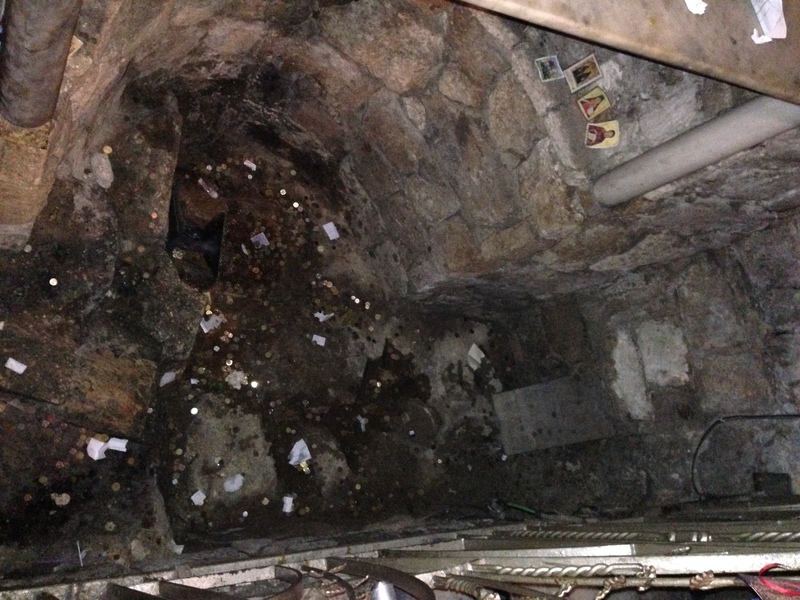 And down below I can see the house of Mary and the house of Joseph – which of course confirm that Mary and Joseph were neighbors. The boy next door. 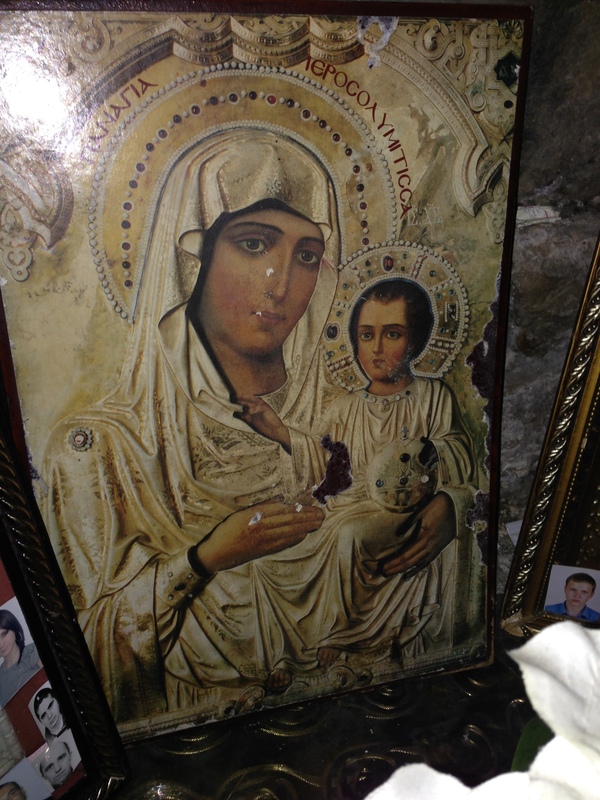 It was meaningful to be at the Greek Orthodox Church of Mary’s Well. I like the tradition that she was drawing water from the well the first time the angel visited. Supposedly she was so afraid, she ran all the way home! It was a long way actually as we discovered when we were walking to it in the rain. . . . The Church of Joseph’s house was amazing. 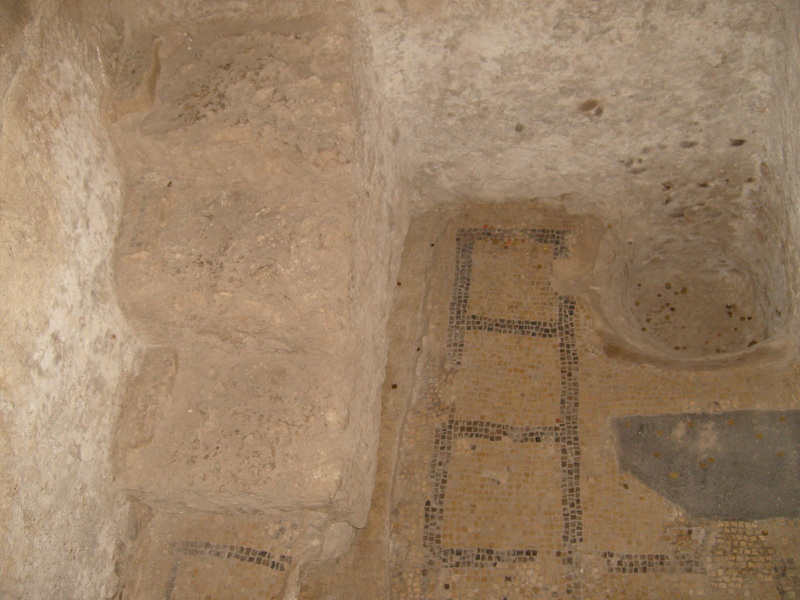 Ruins from the house of Joseph, which most probably were where Jesus grew up. How very cool to see what very well was Jesus childhood home. A carpenter shop in the front and the home in the back of it, if you have enough money and land. 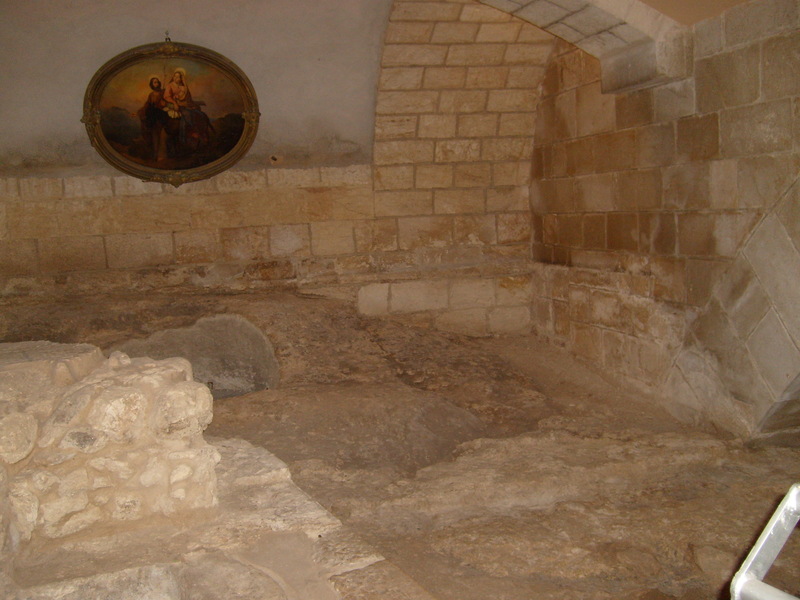 Which they supposedly must have according to the ruins. . . . To imagine the spot in Mary’s house where the angel visited – AGAIN, or for the first time if you don’t go with the tradition of Nazareth’s well. Courage was the word that kept coming to me. That must have been the nature of her trek from the well back to her home: fear turned to courage with every step. . . . Courage overcoming the fear. Courage to say let it be. Courage to go along with God’s big dream for her life – and for the life of the world! . . .
Our visit was a bit rushed, but so incredibly beautiful. 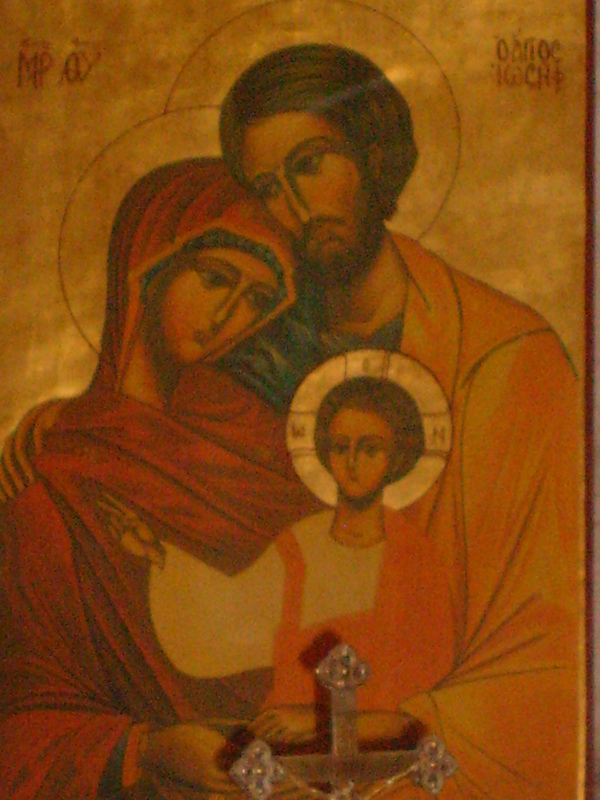 I especially loved the family portraits of Mary, Joseph, and Jesus. You don’t see all three of them together very often in the art. I love that one that looked Middle Eastern – more true to life. That one was great because it showed a whole family – the importance of each one of them in the story. . . . The importance of each one of us in the story. . . . It looked to me like such love. Such joy. Such laughter in their family. But such seriousness too. Growth. Learning. That very same courage both Mary and Joseph had: they passed it on to him. I guess for such a big dream, you needed two who were brave, despite their fear. Two who would say “let it be so with me as you desire.” Two who could build a foundation of courage and hope and obedience. . . . God, won’t you increase in me my courage and hope and obedience. . . . Let us all hear the voice of whatever messenger you send. Give us courage not to run away. But to sit. To wait. To listen. To allow a space in each one of us to open up from the fear into singing a song of the praise of God! Let us sing out to glorify the LORD who sets us free! 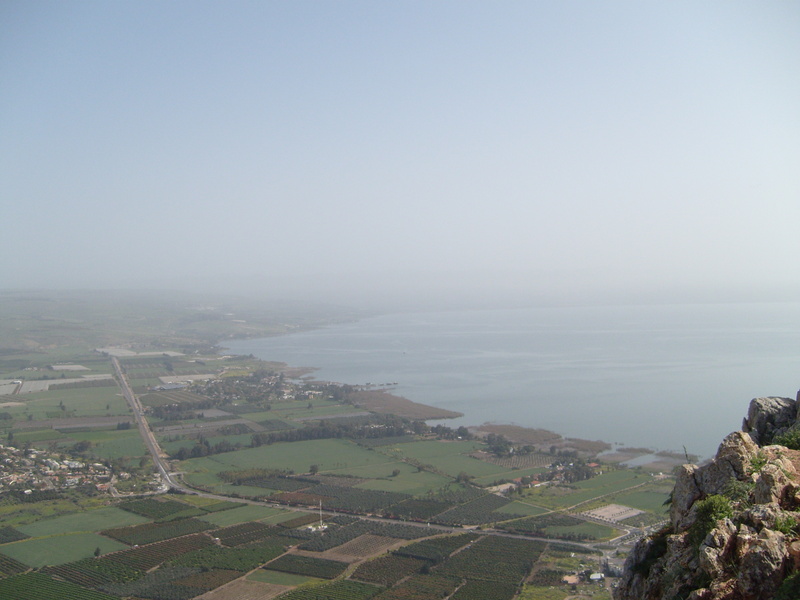 ARBEL in Upper Galilee: From Nazareth, the childhood of Jesus, to the Sea of Galilee, the place of his ministry, is just fifteen miles. At 30 years of age, he walks the Valley Road to begin his ministry. 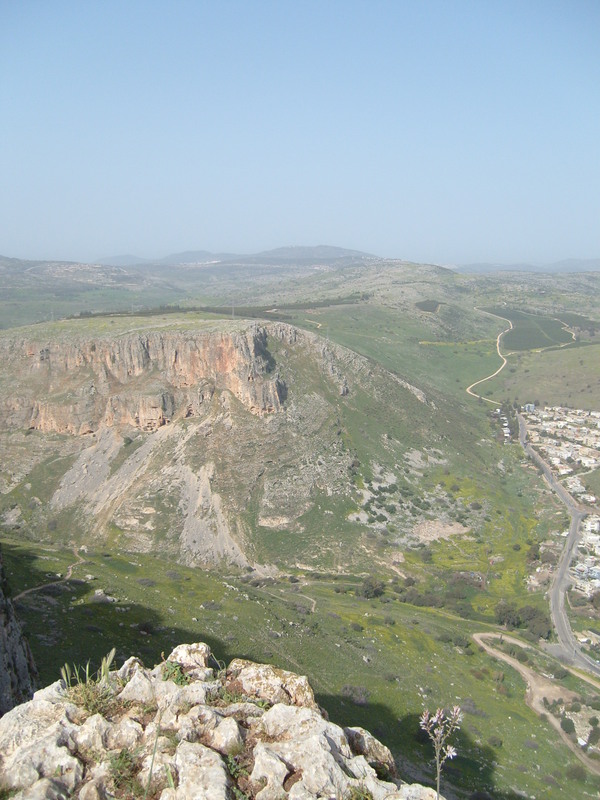 What strikes me from Mount Arbel is that this place is so small. 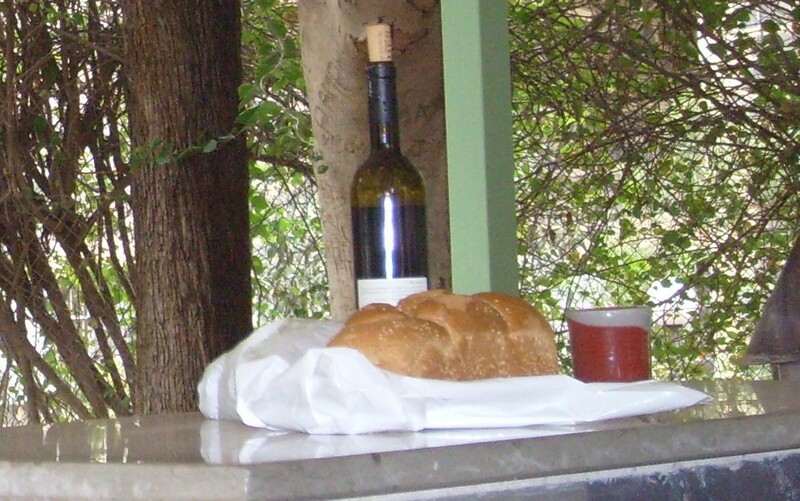 Magdala is the city between the two. He walked this short distance from childhood to adulthood. 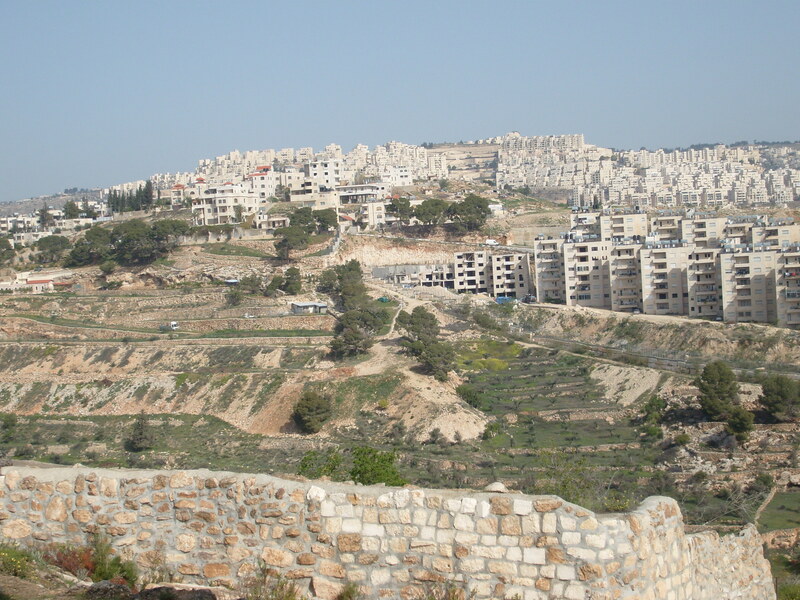 One Galilean town of about 200 people to another small Galilean place. All in an effort to change the world. Three miles from his home, the city of Sepphoris was destroyed by the Romans when he was just four years old. From this mount you can see the Valley Road. He walked right here. Leaving his home. 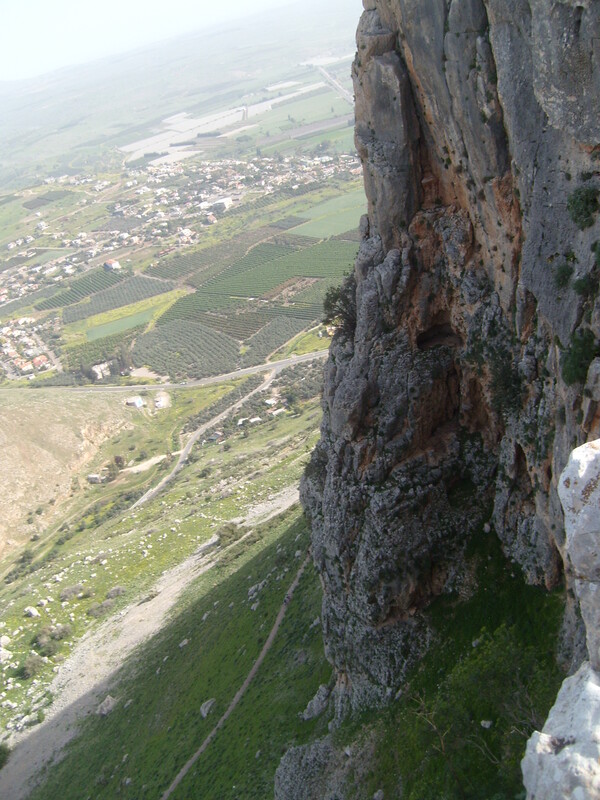 On the way he passed Arbel – where his fellow Jews hid out in caves on the mountain to try to resist the Roman occupation of his land. . . .
Why did he go to the sea? What called him to walk down the Valley Road to begin to make the effort to try to change the world? . . . Was he drawn to the Living Waters of Galilee? . 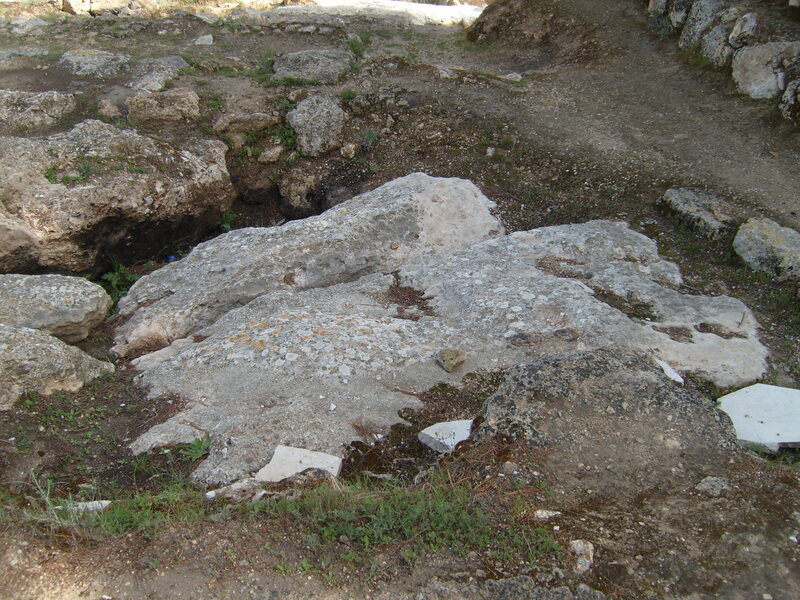 . .
And how deeply did Arbel and Sepphoris affect him? . 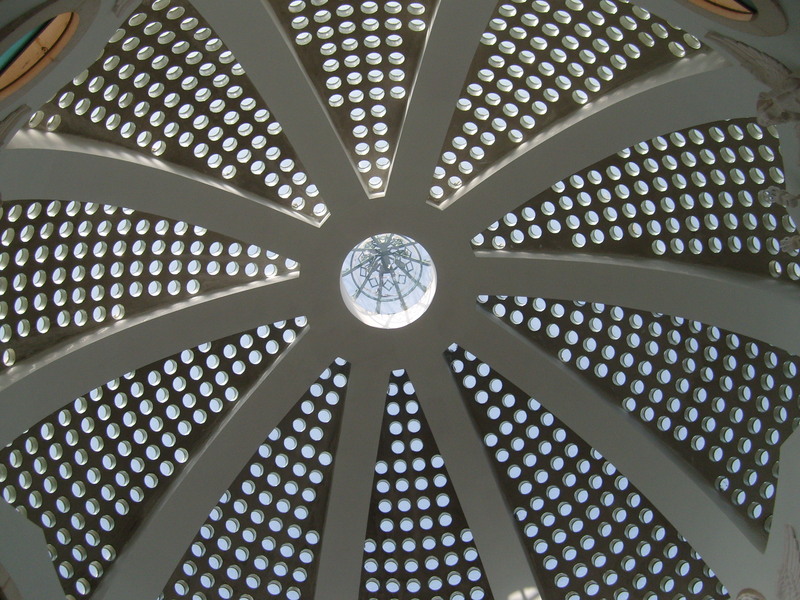 . . How deeply did he desire freedom for his people? An end to the violence. Hope. Lives of simple gratitude and freedom and joy instead of the foot of another on your neck telling you no. Holding you down. . . . How much of this was for freedom – not just of our sins for life everlasting; but here and now. For right-relationship together TODAY?! 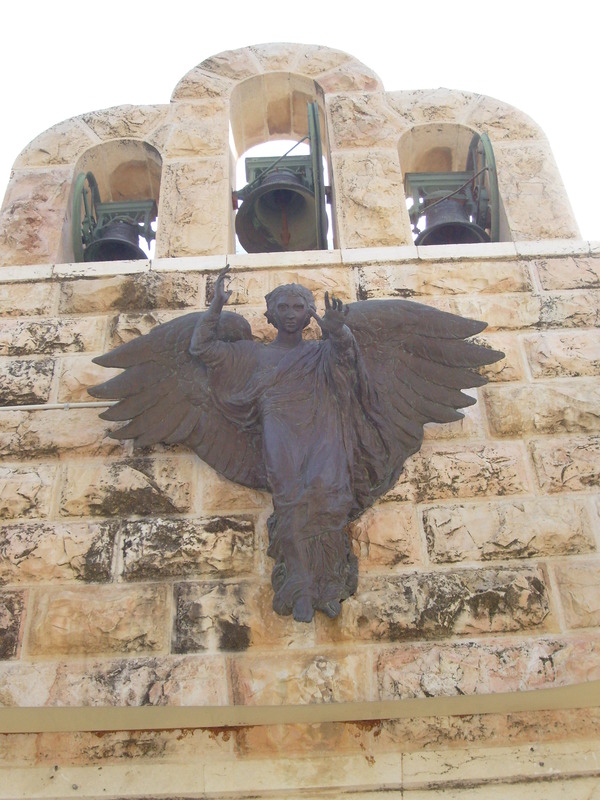 This entry was posted in Daily Insights, Holy Land Pilgrimage and tagged Annunciaion to Mary, Jesus' Hometown, Narareth, The Holy Land on December 27, 2014 by RevJule. Like many of you, I’m a big lover of the classic songs of Christmas: Silent Night and Joy to the World, which we’re going to sing a few minutes later in this service. O Holy Night is a favorite and how very grateful we can be to Karen and Mia both for sharing such a well-done, beautiful rendition of it! . . . These classic songs of Christmas connect us well with God and with the amazing gift of this night. They’re powerful. In fact, it was one hundred years ago on this night during World War I that the Germans and the British who had been fighting each other on the front lines, laid down their weapons and came together to sing with each other: “Silent Night, Holy Night. All is calm, all is bright.” . . . These classic songs of Christmas are powerful enough to bring to a halt the nastiest of World Wars. So that the prophet’s dream is fulfilled, which was God’s whole point in Christ: for the swords to be beat into tools for farming fields in abundance as all violence at last is brought to an end. A few years ago I discovered a newer song of Christmas. And if you don’t know it, I wish you would. Feel free to search for it right now on ITunes. In 2011 it was performed by an artist named Mark Schultz and the words go something like this: “Starlight shines, the night is still. Shepherds watching from a hill. . . . A Perfect child gently waits. A mother bends to kiss God’s face. . . . Angels fill the midnight sky and they sing: ‘Hallelujah, He is Christ, our King.’ Emmanuel, Prince of peace, Love come down for you and me. Heaven’s gift: the holy spark to light the way inside our hearts. Bethlehem, through your small door came the hope we’ve waited for. The world was changed forevermore when love was born. I close my eyes to see the night when love was born” (Mark Schultz, “When Love Was Born”). 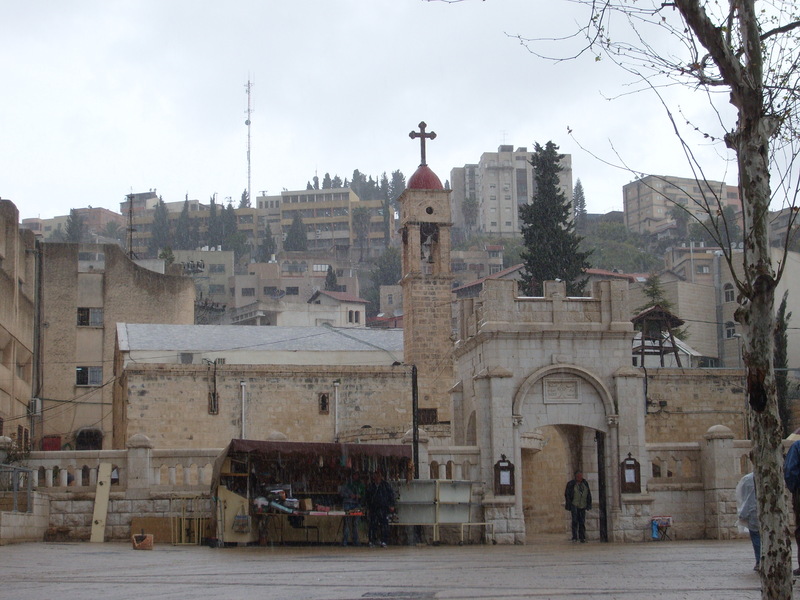 – Bethlehem’s manger. . . . Most probably the whole place had some hay in it that night instead of marble, gold, and candles all around. 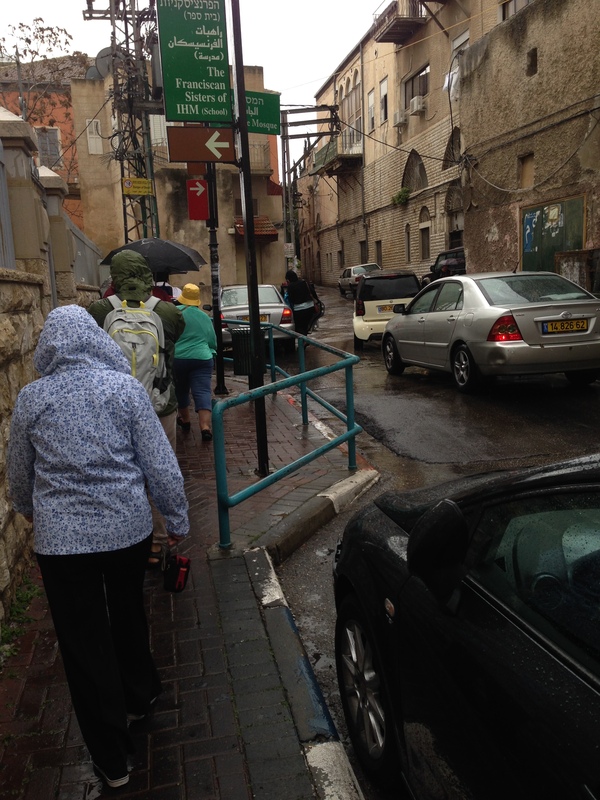 In Bethlehem they tell you that it wasn’t that the inn was too crowded. Rather, as the scripture too alludes, there was no place for them (Luke 2:7). For you see, with how full the inn must have been, for Mary to go inside to give birth would have made the whole lot of them ritually unclean. The cave for the animals out back is offered because they already were unclean. Creation is left to cradle the newborn King. It freely sings its praise to God, while we humans let our stuff get in the way. . . . And so it goes that from the start, Love is going to bump up against law. Grace is in conflict with religious shoulds from the very moment he is born into this world. Maybe it’s not quite the spot you’ve imagined all your life – it wasn’t when I saw it in person either. And some may wonder if it even took place right there. 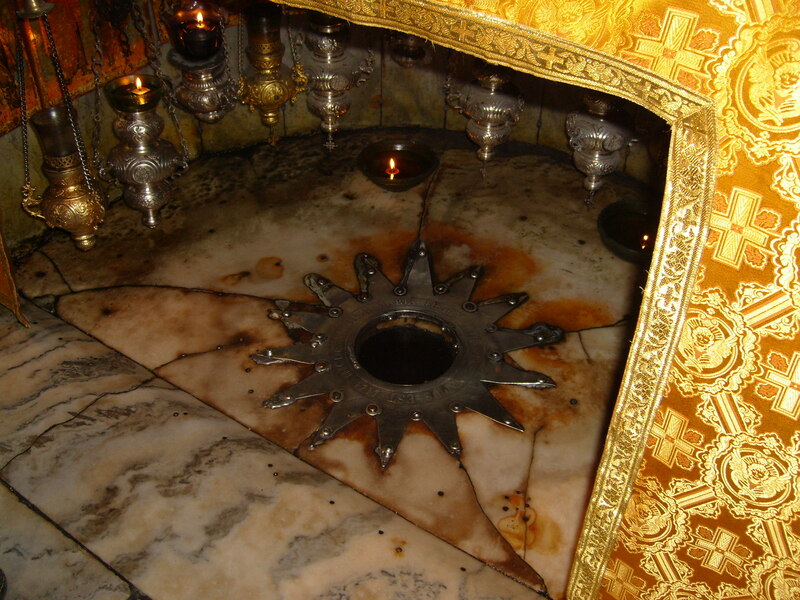 Nonetheless, it is the spot where millions of pilgrims travel every year just for one brief moment to bend in adoration. It really is incredibly overwhelming . . . to see the night when Love was born. You know, they might as well have named him that: capital L, o, v, e: Love. For the Holy One willingly taking on the clothes of our flesh and blood is love itself. It’s the message the angels are trying to tell the shepherds: this birth shows definitely the deep, deep favor of God to all. Great news of goodwill! The depths of God’s love for this entire creation that God would become one of us to be our way, our truth, the very path for us to Life here and now and forevermore. . . . Ah: what a marvelous, marvelous night! For a few moments in the quiet now, I invite you to close your eyes. Imagine in your mind’s eye. See the night when Love was born . . . This entry was posted in Sermons and tagged Christmas Eve sermon, Luke 2:1-21, When Love Was Born by Mark Schultz, Year B 24 December 2014 sermon on December 25, 2014 by RevJule. 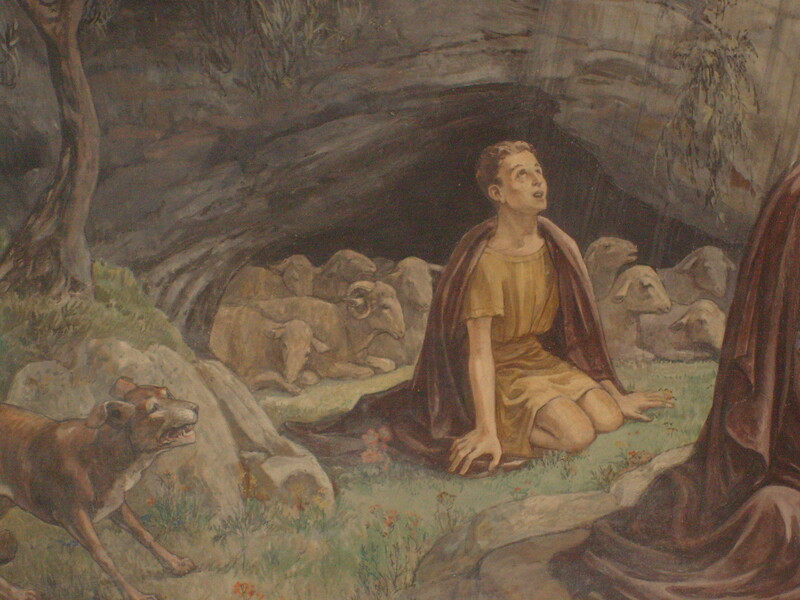 O God, here I lie in the Shepherds’ Field. On two big rocks – two of the very rocks they might have rested on as well. It’s a great place to rest for the night. Overlooking the valley between here and Bethlehem. It’s a great place to ponder life. My hopes. My dreams. My limitations. I expect many a shepherd has rested here too underneath this great expanse of sky, pondering the same of their lives: their hopes. Their dreams. Their limitations. When suddenly! You amaze! You overwhelm! You SURPRISE!!! Exceeding joy at such good news! That from this day forward NOTHING ever shall be the same! Of course, I’m terrified, as I’m sure they too were. But grateful. For this spot reminds that life doesn’t just have to be the hum drum of tending, day in and day out. Chilly frightful nights and long hot days. Parched. Longing perhaps for something more . . . The words form: Thank you! Thank you! Thank you! . . . This place asks: what gift shall I be because of it? . . . Great and exceeding joy! Hope embodied! Possibility! Hallelujah! Amen! 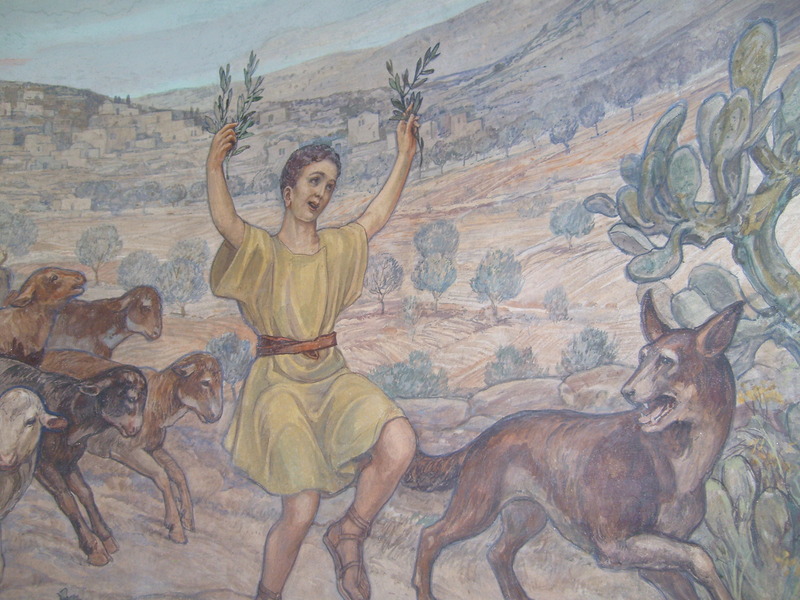 The Shepherds’ Field was wonder-filled! I could totally imagine being there. Busy with my everyday life and everyday concerns. 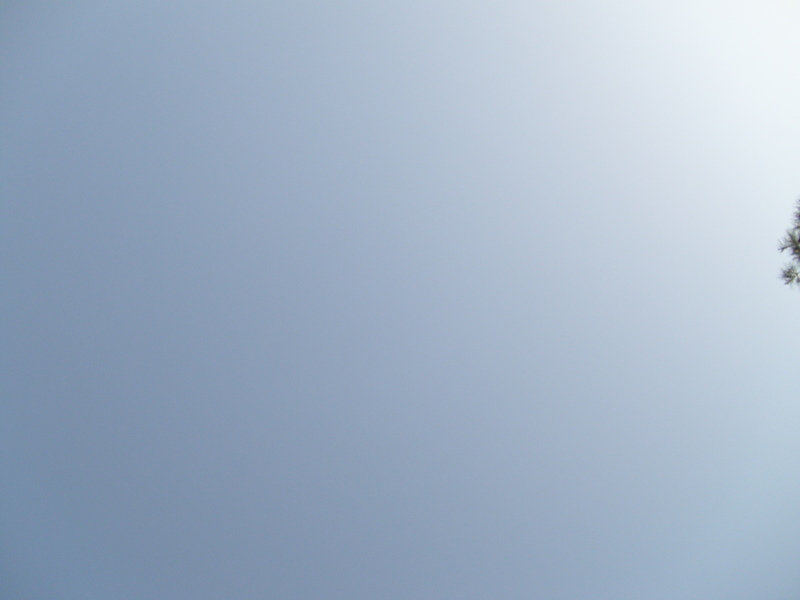 Perhaps wondering if this was how it’d always be – cold stones underneath. Stinky, needy sheep all around. Tending and watching and just passing time as I learned my family’s trade. . . . Until that fate-filled night. Suddenly my every other day was shattered. Surprised in an instant. I’m sure I’d be terrified! Because nothing again would be the same. I’d been summoned to see something miraculous and the wonder of it all certainly would work upon me. I’m not sure I’d be allowed to leave the same. I’m not sure I’d want to. I think I’d want to believe. Have hope. Trust that it all was true. Gloria en excelsis! Immanuel, the LORD our God is with us! . . . If I never believed before, I think I’d start. I hope I would. Having been there with that baby, that mother and father in the cave, locked out of everywhere else for fear she’d make them all unclean. And yet with such courage they brought that child into the world. With such bravery they stood together for one another. I’d like to think that all would have had an impact upon me. That that gift: God’s gift to be present to us – to me – would ready me to be a gift in return! On the eve of that birth, may you reflect upon the gift you will be in return! 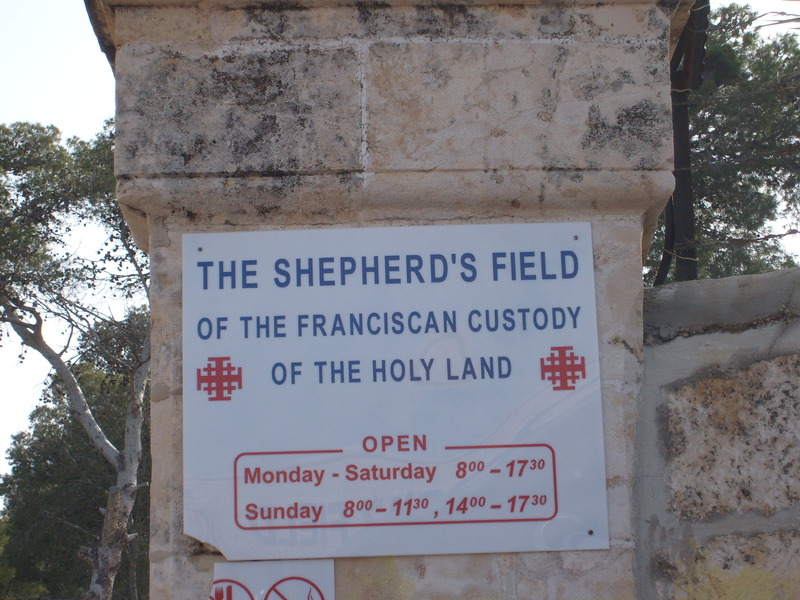 This entry was posted in Daily Insights, Holy Land Pilgrimage and tagged Bethlehem, Birth of Christ, Holy Land, The Shepherds' Field on December 24, 2014 by RevJule. Angels are going to announce almost the exact same thing at the next birth. And in the gospel of Luke, shepherds are the ones who come running to see: another set of characters Luke lifts up in order to set up the theme, as one commentator has said that: “The main actors in this drama will not be the rich and the powerful but, rather, those overlooked by the world. . . . barren older couples, unwed teenage mothers, and those relegated to caring for animals. The good news is that even they play a part in this drama of salvation. (Which means that) The terrifying news . . . is that even we (must) play a part in this drama of hope” (Feasting on the Gospels – Luke, Vol. 1; Luke 1:5-25, James R. Luke Jr.). But we’ll get to more of that on Christmas Eve! Imagine how much that must have hurt the heart of this new mother. He’s not even old enough yet to have gotten to that baby smiling stage when Mary is given a peek into what the future will be for her Son of the Most High, the One who will reign over the house of Jacob forever, whose kingdom shall have no end. How could she have known his miraculous birth would lead to a torturous death that would test her trust in the God for whom that messenger said nothing would be impossible? We can only hope that she can treasure these initial moments in her soul long enough to keep faith throughout all the days of his life, death, and God’s biggest surprise yet to come. It’s like the writer of Luke wants to get us ready from the start. To point out all the details of this amazing in-breaking of God in our world so that we won’t lose hope on the days when hope is not present. There will be days in this life when we will need to cling ever so tightly to the pronouncements made at this birth. For the darkness still surrounds. And so the drama of his life begins – though only that situation in the Temple at the age of his bar mitzvah (12 years old) will be mentioned between his birth and his baptism by John in the Jordan at 30 years of age. . . . With the regular God-lovers of the gospel of Luke’s Christmas Story, we’re invited to fall a little bit deeper in love with the God for whom nothing will be impossible – the God who seeks to ensure that everyone knows God’s favor rests upon us all. Peace is possible; for in Christ’s birth, we no longer have to wonder whether the Sovereign Maker of the universe hears our cries. We no longer have to get in line behind those of the world who think they matter more than any others. Our lives can be filled with the God-of-all-possibility’s hope! . . . Its mighty good news, most excellent God-lovers! Mighty good news! May it prepare our souls too to rejoice! In the name of the life-giving Father, the life-redeeming Son, and the life-sustaining Spirit, Amen! This entry was posted in Sermons and tagged 21 December 2014 sermon, 4th Sunday of Advent sermon, Christ's birth according to the gospel of Luke, Luke 1-2:40 on December 24, 2014 by RevJule. It struck me during an amazing performance of Handel’s Messiah last night. It covers the range of the prophets’ promises, the birth, the death, and life-everlasting. It’s all beautiful! Still: the incarnation itself is THE good news. We don’t need to wait for the death and resurrection to be impressed. The news of the Holy One desiring to become one of us — to take on our flesh and see what it’s like to be a human being. From all the strain and struggle — all our best intentions and ever-present limitations. All the glorious triumphs and incredible pleasures we experience in our bodies, minds, and spirits. What kind of Divine Being would want to be like us? Praises be to that kind of Holy One who would want to be among us as one of us!!! No need to wait for Easter. THIS is great love. This is gift beyond measure!!! 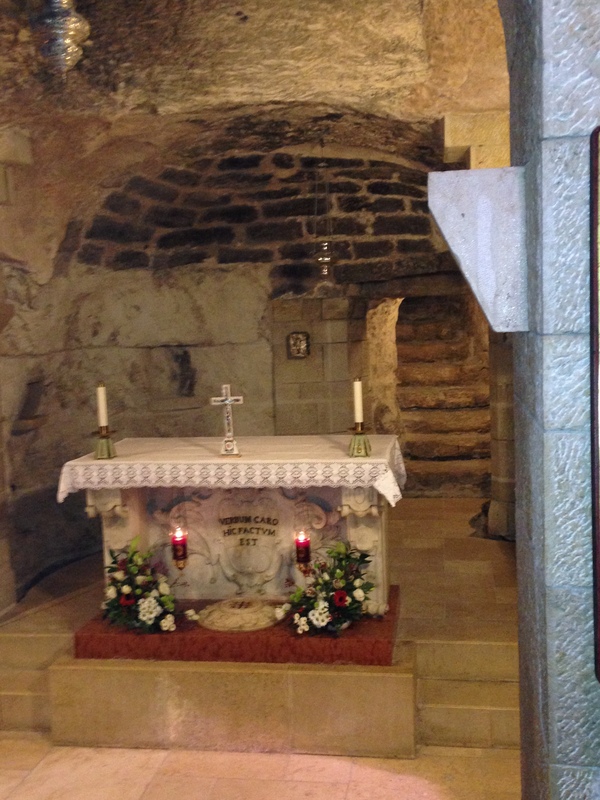 This entry was posted in Daily Insights, Holy Land Pilgrimage and tagged Bethlehem, Church of the Nativity, Good News, Handel's Messiah, Incarnation, Manger on December 21, 2014 by RevJule. Today I think that there is nothing more precious in this world than when two people find one another and figure out a way to become one working unit. I’m not necessarily talking about “bone of my bone, flesh of my flesh” as the second creation story of Genesis does. Rather, I mean the whole diversity of connections that happen in this world. I feel as if I have seen a little bit of it all today. And it does my heart so very good! I had the opportunity today to meet a 92 year old woman who told me about her husband who has been dead since 1987. She said they met late in life and had just 13 years together. You can do the math and figure out she was a little over 50 when they met and married. (Is that right? If so, how remarkable for such a new beginning at that stage of life!) I had the joy today of being with those who didn’t get it quite right the first-time-around, but seem to be enjoying someone tremendously their second-go-round. I watched two old friends who seem to be almost more important to each other than even their spouses have been to them. I listened to a story of budding romance from a woman who has taken half her life to figure out who she truly is and with whom she wants to share the rest of her path. I heard of those who are together face-to-face on the weekends but share only in spirit throughout the week. Those who have committed to each other since nearly childhood and those who still are seeking to find a person in this world with whom they can journey throughout their days. Those who have side-by-side walk in closets all to themselves; and those who have a little corner of a shared one and give up most of the rest of the space for the other! No two pairings I spent time with today are exactly alike. We all have our unique stories — including the story of those who find strength, support, and love most among sisters, parents, best friends, and self. I was a young, confused adult many years ago when one of the wisest women I’ve known told me that love always would be a part of my life — no matter what form it took. She said the key was to stop expecting love to look a certain way and just accept the beautiful ways it always is present. In memory of her and in celebration of all the ways in which I have been pleased to witness love today: PRAISES BE! Keep your eyes open to it this week! See the most beautiful thing that surrounds each and every day! This entry was posted in Daily Insights and tagged connection, Love on December 15, 2014 by RevJule. Ordinarily the second Sunday of Advent finds us focusing on John the Baptist. The one crying out in the wilderness in his camel’s hair with his locusts dipped in wild honey. We hear him tell to get ready! Prepare for the coming of the One who will baptize you with the power of the Holy Spirit. Who will make you ready to live the kingdom of God each day! That’s what the second Sunday of Advent typically is about. And in year B of the lectionary, which we just entered last week, it’s always from the gospel of Mark. Which oddly enough is how Mark starts the good news of Jesus Christ, the Son of God. 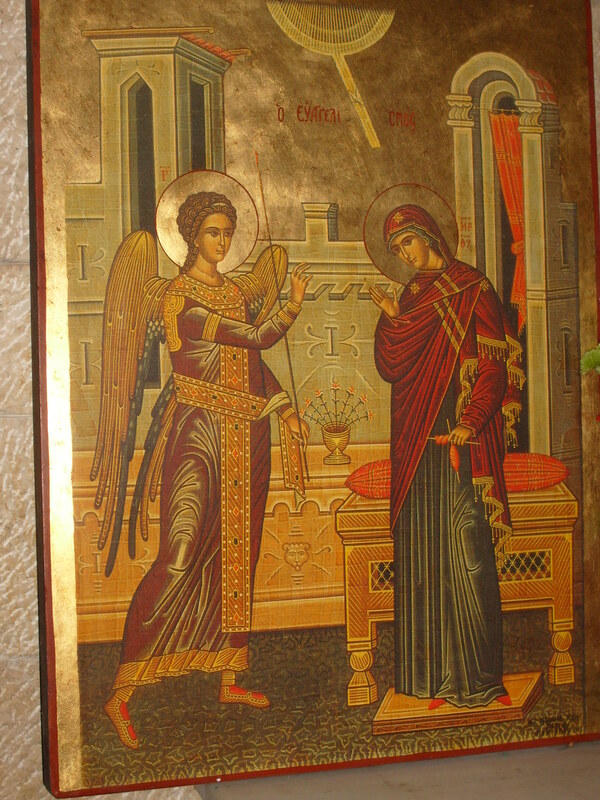 In his gospel, we don’t hear of angel annunciations or dreams to keep Mary. 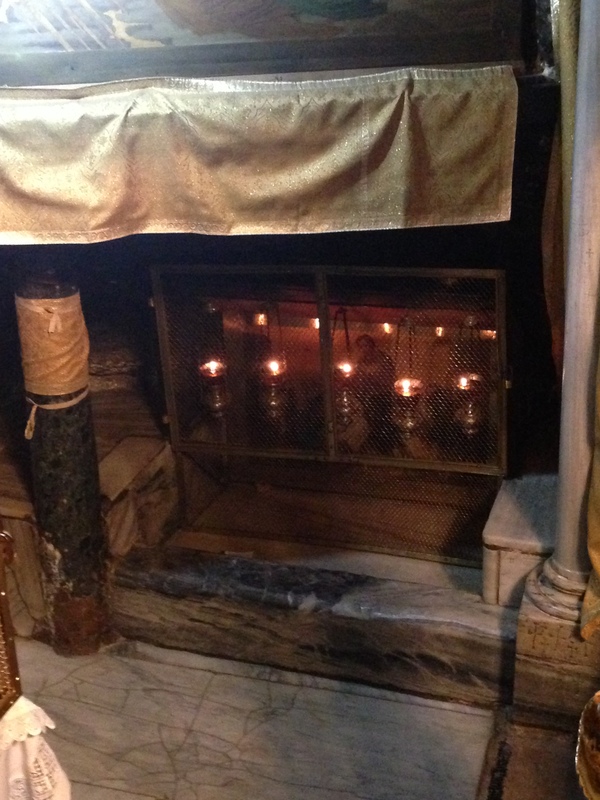 No shepherds or wise men or cattle a-lowing in the meager manger stall of Bethlehem. John the Baptist crying out in the wilderness to prepare for the way of the Lord is how the gospel of Mark begins; then jumps right into the full-grown Jesus showing up himself to get baptized by John. Well, a little different Advent path calls this year. It seems the old story might speak to us anew if we approached it from another angle. O, I know that we have our nativity set up in full on the organ. 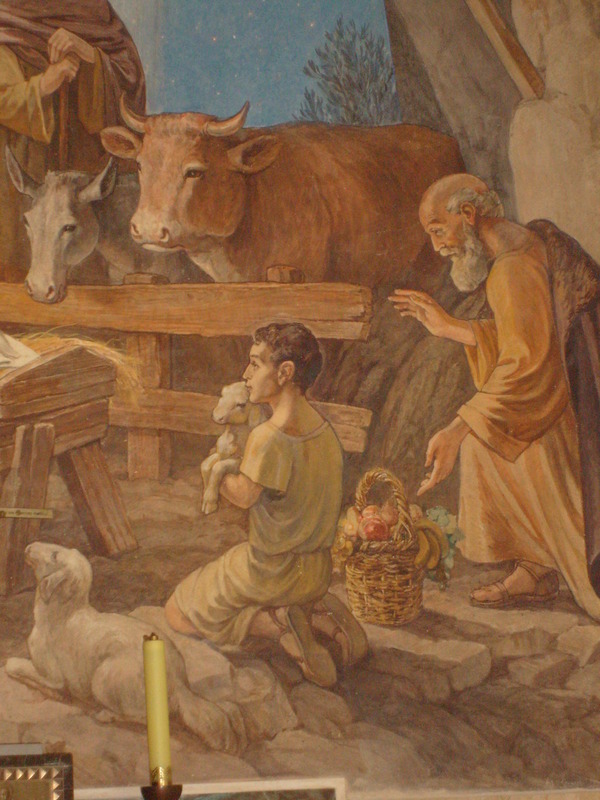 All the beloved pieces already are there – the baby in the feed-trough, Mary and Joseph, the shepherd and wise men, and even a few beasts of the field. It’s all there mushed up together because that’s the way we know the story – all the components of it that we absolutely cherish. But for the next few weeks of this season, we’re going to do our best to pull them apart. See if we can’t hear a fresh message this go around if we listen to how each gospel uniquely tells of the story of Christ’s birth. “An account of the genealogy of Jesus the Messiah, the son of David, the son of Abraham. 2 Abraham was the father of Isaac, and Isaac the father of Jacob, and Jacob the father of Judah and his brothers, 3 and Judah the father of Perez and Zerah by Tamar, and Perez the father of Hezron, and Hezron the father of Aram, 4 and Aram the father of Aminadab, and Aminadab the father of Nahshon, and Nahshon the father of Salmon, 5 and Salmon the father of Boaz by Rahab, and Boaz the father of Obed by Ruth, and Obed the father of Jesse, 6 and Jesse the father of King David. And David was the father of Solomon by the wife of Uriah, 7 and Solomon the father of Rehoboam, and Rehoboam the father of Abijah, and Abijah the father of Asaph, 8 and Asaph the father of Jehoshaphat, and Jehoshaphat the father of Joram, and Joram the father of Uzziah, 9 and Uzziah the father of Jotham, and Jotham the father of Ahaz, and Ahaz the father of Hezekiah, 10 and Hezekiah the father of Manasseh, and Manasseh the father of Amos, and Amos the father of Josiah, 11 and Josiah the father of Jechoniah and his brothers, at the time of the deportation to Babylon. 12 And after the deportation to Babylon: Jechoniah was the father of Salathiel, and Salathiel the father of Zerubbabel, 13 and Zerubbabel the father of Abiud, and Abiud the father of Eliakim, and Eliakim the father of Azor, 14 and Azor the father of Zadok, and Zadok the father of Achim, and Achim the father of Eliud, 15 and Eliud the father of Eleazar, and Eleazar the father of Matthan, and Matthan the father of Jacob, 16 and Jacob the father of Joseph the husband of Mary, of whom Jesus was born, who is called the Messiah. 17 So all the generations from Abraham to David are fourteen generations; and from David to the deportation to Babylon, fourteen generations; and from the deportation to Babylon to the Messiah, fourteen generations.” (Matthew 1:1-17). What a contrast in response to this birth. In the midst of the story about a very threatened king, foreign seekers come from the East. Presumably those outside the Jewish family, they still sought Wisdom. They looked in wonder to the natural world – God’s ever-surrounding mouth-piece. Something must have been in them that knew worship. That knew awe. And whether or not they had the right language yet; they must have trusted that a grand Designer was behind it all. The ones from the East are open to the wisdom that surrounds us in creation each day so that they knew to pay attention to a brand new star that was doing something unlike anything they had seen before. They got themselves ready to encounter One worthy to receive their most precious gifts of gold, frankincense, and myrrh. . . . Meanwhile, the current King of the Jews goes stark raving mad. Out of fear of what he might lose, he orders dead all the children around Bethlehem who were younger than two years. This cannot endear the Bethlehemites to him and his rule. But he gives no thought to that. And so continues the long line of violence – even to this very day against the city of Bethlehem; the violence continues which the baby in the manger came to stop. He will grow to show a totally different way of being. One that seems well-exemplified, according to the gospel of Matthew, in the earthly father Joseph. In that long genealogy, we hear of father after father in Joseph’s family – some of whom were great role models for him of how to be the most amazing dad. And wasn’t he?! It wasn’t even his biological son and look what Joseph does. First he believes – he trusts that God is up to something new in the woman he loves. Next, he pays attention to a classic way God gets into our hearts and our minds: he seeks to discern his dreams to know what God wants from him next. Then, more than once, he protects this precious gift given to his care. Such love! Such wisdom! What an amazing father! What a faithful servant of the Savior of the world! And so the little one is born into this world, according to the unique telling of the gospel of Matthew. We’re given much to ponder about who this baby is who is named from the start the Messiah. We’re encouraged to pay attention too to the dreams God gives us in God’s continuing work to save this world. We’re warned these ways will not be like the ways undertaken for gain among so many in this world. We’re painted three distinct portraits of response to God’s great gift. And we’re left to wonder as we continue our trek to the celebration of his birth: just how might we live as a result of this new life. May Christmas Story #1, the telling of the tale according to the gospel of Matthew, leave us a bit more prepared to rejoice! This entry was posted in Sermons and tagged 7 December 2014 sermon, Christmas according to the Gospel of Matthew, Second Sunday of Advent, Sermon on Matthew 1-2:23, The First Christmas by Marcus Borg and John Dominic Crossan on December 11, 2014 by RevJule.